I always found that adding a pocket square to a jacket instantly upgrades the look, makes it more stylish. I always encourage men to collect them whenever they find one they fancy. 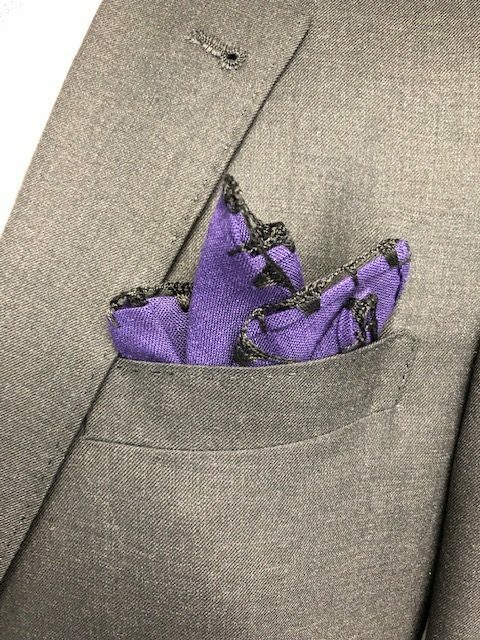 It’s nice to be able to have a collection of pocket squares and be able to have different ones for different situations because not every pocket square always works with every jacket. 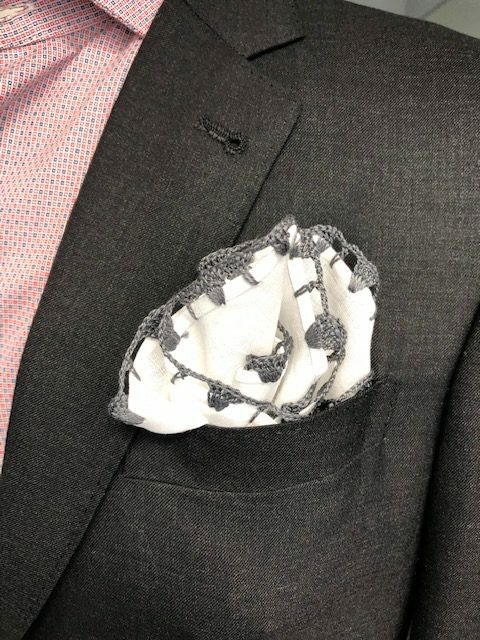 If you don’t have any pocket squares yet, investing in a simple white linen pocket square with hand rolled edges is the best money you ever spent. Because it’s such a wardrobe staple. I have a handful of pocket squares in my shop made up of different stitches and colors so you can either use them for yourself or as a gift. It’s a worthwhile investment and most men have at least three pocket squares in their wardrobe. White pocket squares work well with any kind of dark suit as well as tuxedos for evening wear. If you wear a lot of business suits, you may not always want to wear a simple white pocket square and select a blue, red or yellow pocket square to add to your collection. I would suggest a color that coordinates with your tie selection. I would not match the pocket square exactly but more in the same color family so it compliments your tie. Matching your tie and pocket was perfect for prom but not for business and life after high school. It’s also nice to have a white silk pocket square and I don’t like the solid white silk ones simply because they have a tendency to look flatter, they’re a little shinier and so I prefer linen. Printed silk hankies are wonderful and I recommend silk printed hankies over solid ones. If you decide to go with white silk pocket squares, make sure they’re thick enough because the thinner silk is quite flimsy and it will likely collapse on you in your pocket or sometimes also come out easily. So if you go with a silk, go with a heavier silk. Otherwise, linen specifically made for pocket squares is your number one choice, even better than cotton. Linen is crisper, it has a nicer look, and it wrinkles in a different way than cotton. Cotton is usually too thin and too lightweight and just doesn’t look as sophisticated and dapper. 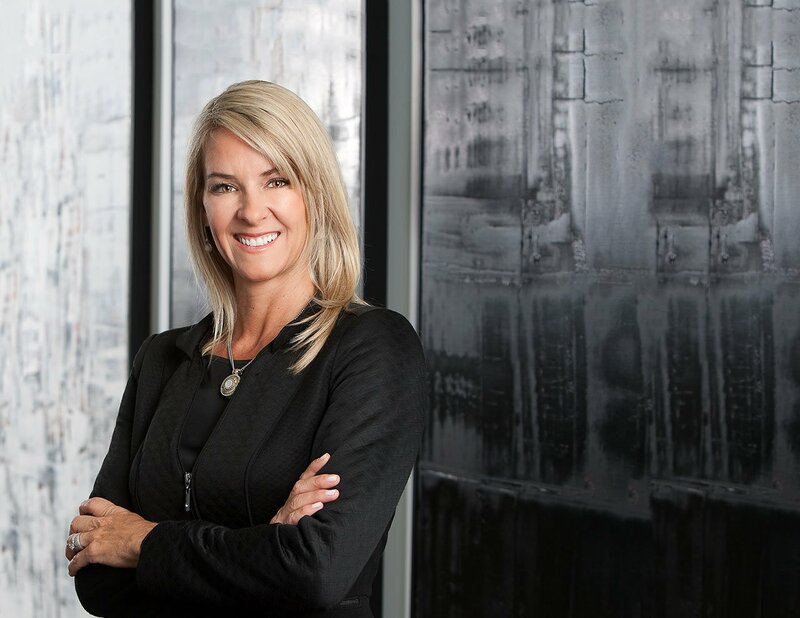 Personally, I try to advise my clients to avoid white pocket squares with any kind of casual garments such as tweed jackets, sports coats or suits because they just don’t always work well together. 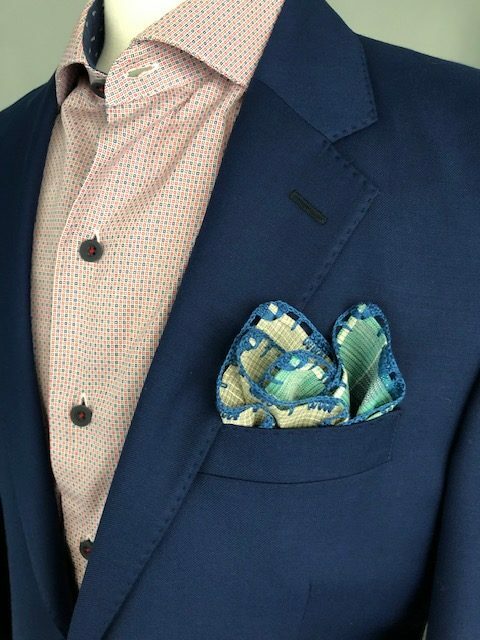 The easiest way to pair a pocket square is with a white shirt because that way, you don’t have to pick up the color in any other parts of your outfit and it’ll always look classic. 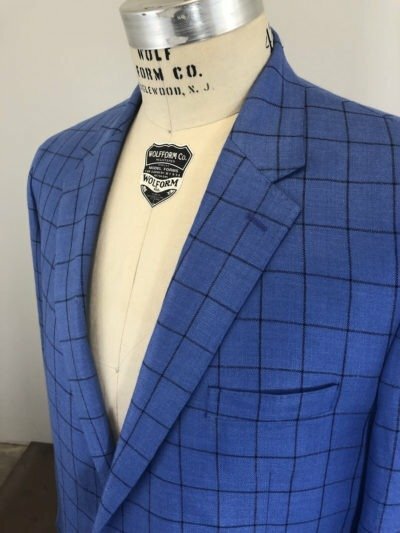 Blue is a very popular color in menswear, particularly for men’s ties and suits and because of that, blue pocket squares pick up those colors and make for a sophisticated overall outfit as long as there are other colors incorporated into the blue. 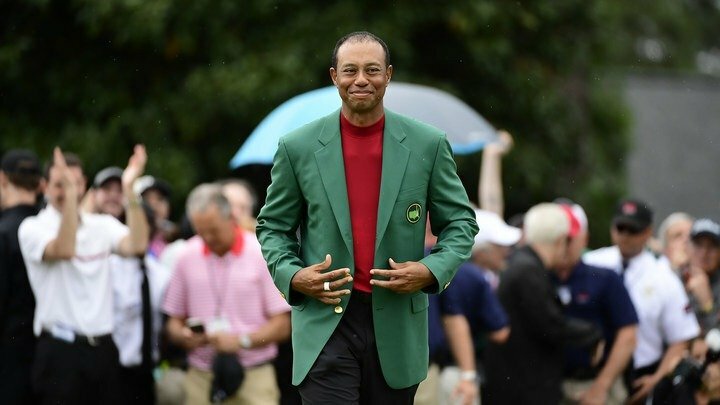 Red, which is another dominant color in menswear, as well as green, yellow and gold tones, so it’s very versatile. 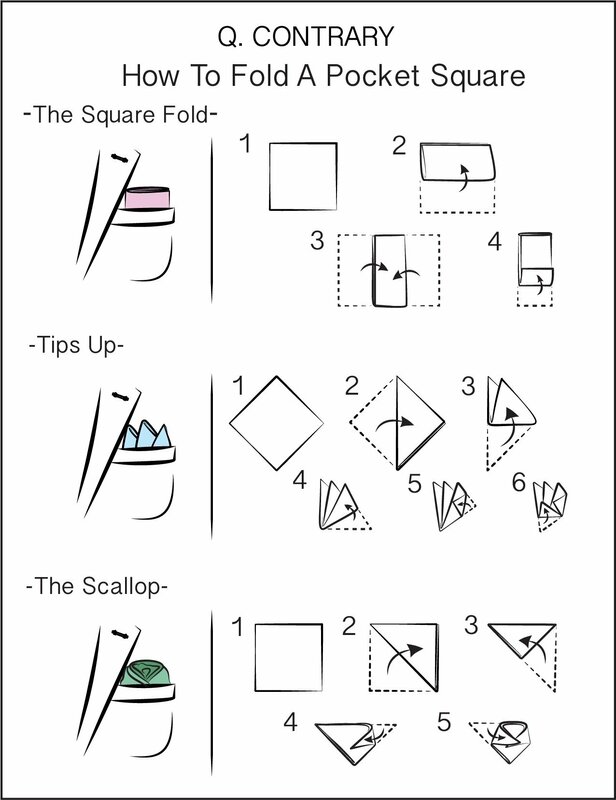 Pocket squares are a great way to show personality as well as your fashion sense. Stop by my store if you want your own complimentary copy of this postcard. I am also carrying these 4 linen hankies handmade here in the USA. I love the edge stitch details done by hand. Perfect to pair with any suit and jacket.